What is good support and how do you define it? 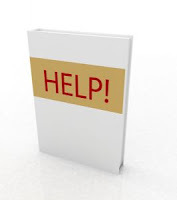 This is the question asked by Ron Friedmann in his blog post "Defining good support for Lawyers"
In his post Ron looks at the different ways support can be defined, this is especially important if law firms are considering outsourcing support departments and the issue of quality arises. From his blog post "...defining good support requires metrics, service level agreements (SLA), and a governance structure. Without these, managers cannot assess if they provide good service, where improvement opportunities lie, or the viability of alternative support approaches. When I asked for a show of hands of who had instituted metrics or SLAs, few hands went up. This is pretty typical in law firm audiences"
So if you're a law firm Librarian what sort of things should you be measuring? Ron makes an interesting suggestion "Once you know what to measure, you have to define the right service level to offer. For libraries that might mean, for example, categorizing research requests by complexity and, for each complexity level, specifying a turn-around time"
This is certainly something that IT Helpdesk teams have had in place for a long time, so when you contact your IT Helpdesk they will probably assign it a complexity level or more likely a priority level so Priority 1 might be that your PC isn't working and Priority 4 might be that you cant access a particular site. One of the question I would ask is how easy it is to take this model and apply it to the type of enquiries law libraries undertake. Especially if you're then setting time limits or turn-around times on particular types of enquiries. I'd like to think it would work but then in my experience all enquiries are urgent! As it happens I'm a huge fan of metrics and SLA's although they have to be rigorously enforced in order to work. Used right metrics can provide an insight into a service which might not be possible otherwise. However metrics can also be analysed incorrectly, misconstrued and generally misused so it's vital to identify what you're going to be measuring and how you're going to do it early in the process. If you're really interested in Metrics (blatant self promotion warning) you could read an article I wrote in 2009 called "Stat's the way to do it"
This entry was posted on Thursday, 3 March 2011 at 10:30. You can follow any responses to this entry through the RSS 2.0. You can leave a response.